New car registrations fall -19.8% to 152,076 units as market feels effects of Vehicle Excise Duty (VED) changes, but year-to-date performance still at record levels. First downturn in alternatively fuelled vehicle segment for 47 months as hybrid demand hit by higher VED rates. Year-to-date market remains strong, up 1.1%, with record 972,092 cars registered in first four months. 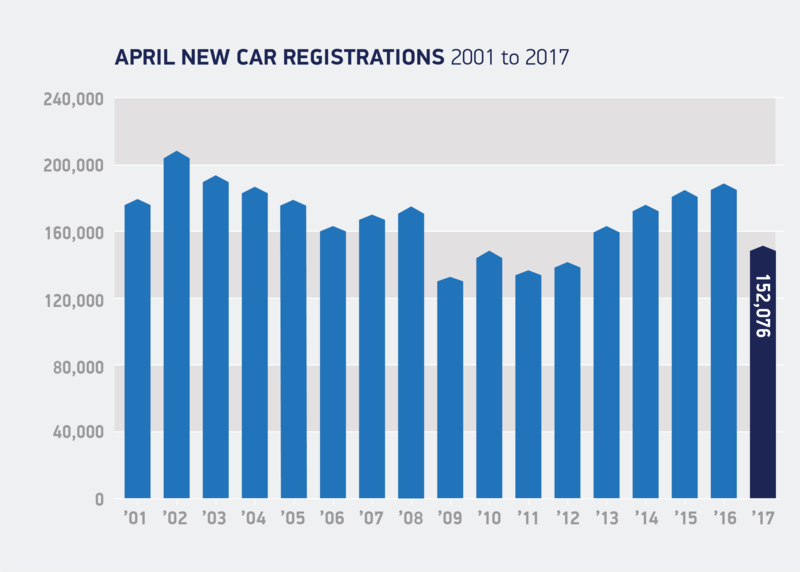 The UK new car market experienced a significant decline in April, following exceptional growth in the previous month as buyers brought forward purchases ahead of the switch to new VED rates, which came into force on 1 April 2017. Figures published by SMMT show that 152,076 new cars were registered in April, a -19.8% decline. Demand was down across the board, with registrations by private buyers, businesses and large fleets falling -28.4%, -21.0% and -12.3% respectively. Petrol, diesel and alternatively fuelled vehicle registrations also declined, with AFV demand down for the first time in 47 months, albeit by a marginal -1.3%. With the rush to register new cars and avoid VED tax rises before the end of March, as well as fewer selling days due to the later Easter, April was always going to be much slower. It’s important to note that the market remains at record levels as customers still see many benefits in purchasing a new car. We therefore expect demand to stabilise over the year as the turbulence created by these tax changes decreases. Download the April 2017 press release and data table.